Growing your own meat is a cheap and healthy way to provide a nice chunk of your own protein. Fish have some of the highest feed-to-weight-gain ratios because they don’t have to expend calories holding their bodies against gravity. The water they swim in does most of that for them. That’s why mammals had to return to the oceans before they were able to dominate the evolutionary tree as the largest living animals on earth. 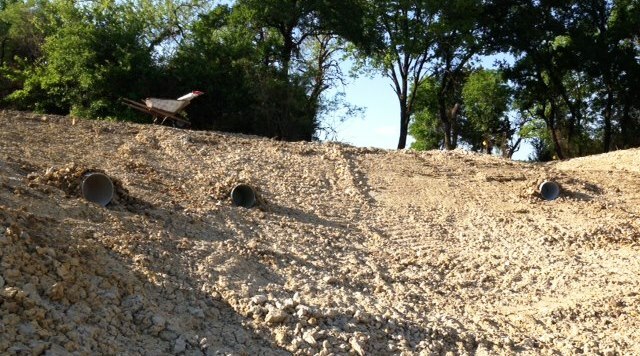 One of our readers Curtis sends in a photo of the catfish operation he helped build in Northern Texas. He’s installed for them the best habitat for the happiest – and tastiest – catfish possible. Catfish like to spawn in caves between 2 and 5 feet below water, and Curtis has discovered that 5 gallon buckets dug into the side of the pond wall works just fine for them. 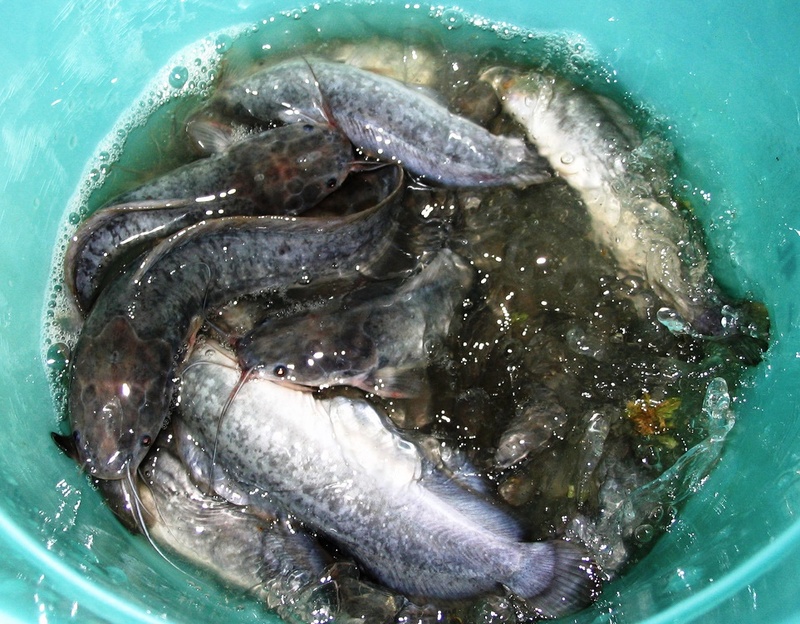 Catfish are susceptible to the usual issues that farmers run into when trying to replicate a natural system in an artificial way. Problems that inevitably arise include disease, pests and water cleanliness. One of the few reputable books on farming catfish for food is the Channel Catfish Farming Handbook. It’s out of print so buying a new copy will run you over 200$. Instead get a used copy for much cheaper. thank you for finding this resource! How many channel catfish can i raise in a 400 gallon tank? I’m with Okeechobee FFA and we are conducting a field trial determining whether we will profit better with tilapia or channel catfish. where to find the plastic big round drums for fishing ? we are stationed in wb, india. and from where to get the guide lines for this ? usually in our area, fishing is done in a traditinal way. ponds are water holes and rivers are the main fishing way. 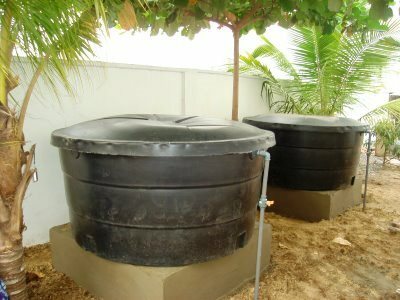 where and how to collect the big plastic drums for fishing? we are based in wb, india. I put 80 catfish fingerlings in 1000 litters tank but 67 fingerlings dead after 6 7 days.i saw fungaus on their body and they were biteing each other before they die.i given them raw meat.i dont know why they bite each other and how to stop catfish to bite each other?